Leo is the fifth astrological sign in the zodiac, which spans the zodiac between the 120th and 149thth degree of celestial longitude. In the tropical zodiac, the Sun transits this area on average between July 23 to August 22 each year. In Sidereal astrology, the Sun currently transits the constellation of Leo from August 16th to September 15th (approximately). The sign is symbolized by a Lion. Lion is the king of the Jungle, hence we find royalty in persons. 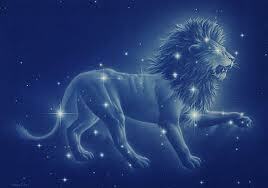 Leo individuals are courageous, positive, ambitious and have very strong leadership qualities. Characteristics of Zodiac sign- Leo. 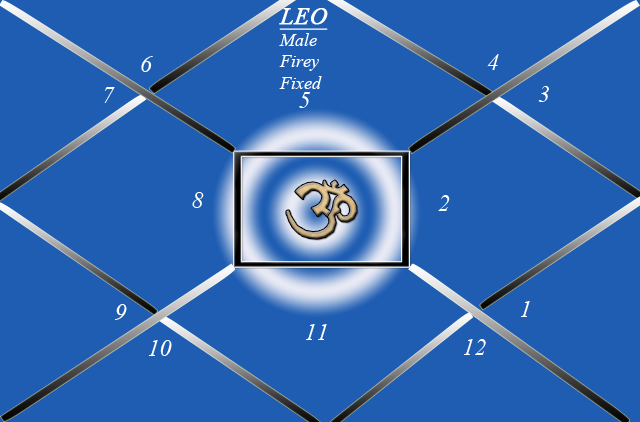 Leo is a male, firey and a fixed sign. Being a male sign, we see a very strong physique and impressive personality in such persons. They are courageous, ambitious and have excellent execution ability. They love to dominate and are boasting in nature regarding their achievements. They hate contradiction but can be easily moved by appreciation. Being fixed, they are very firm regarding their opinions, are perseverant and have a killers instinct. They hate to lose and are very practical in nature and don’t give importance to emotions. They are fixed regarding their goals and don’t change very easily. Being firey, they have the spark to create. They are inquisitive in nature, very ambitious and positive. Loves taking risks .They may even indulge in gambling. Being a rashi of Dharma Trikone, they are spiritually inclined. They hold Law and make rules and regulations for the society. Lord of Leo is the Sun. It’s the Father of all planets. Hence, it determines Father in the chart. Since Light and heat is given by the Sun, it determines immunity in a person. Individuals with strong Sun in their chart are good in health and vigor. They are always full of energy and the glow of Sun is seen on their face. So, leaders and politicians who have strong followers, usually have good placement of Sun in their chart. Leo rules over spine, heart and stomach. As Sun is the source of vitamin D, bad placement of Sun in the chart can lead to rickets and scoliosis. Sun dominated personalities are usually Type A i,e aggressive, angry and ambitious, leading to hypertension and heart problems. In a chart, whose ascendant is Leo or Moon is in Leo or Sun is in Aries where Sun is exalted/strong, they will have the above characteristics predominant in his/her personality.